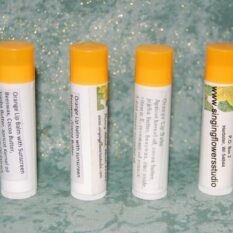 Lemon lip balm is made with pure essential oil of Lemon and Lemongrass. This soft lip balm heals the lips with Jojoba oil and Vitamin E. Zinc oxide protects from the sun. 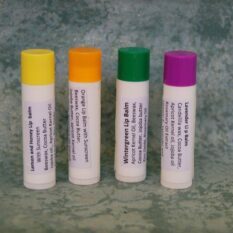 Roll it up and feel the soft Apricot kernel oil and the Cocoa butter soften your dry chapped lips. 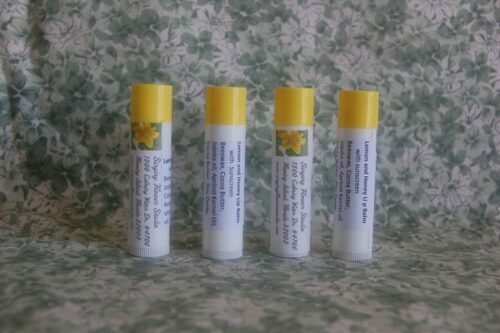 Ingredients are Candelilla wax, Cocoa Butter, Jojoba oil, Apricot Kernel oil, Zinc oxide for sun block, Rosemary Oil Extract, Vitamin E, Lemon and Lemongrass essential oils. Vegan appropriate and Gluten free.